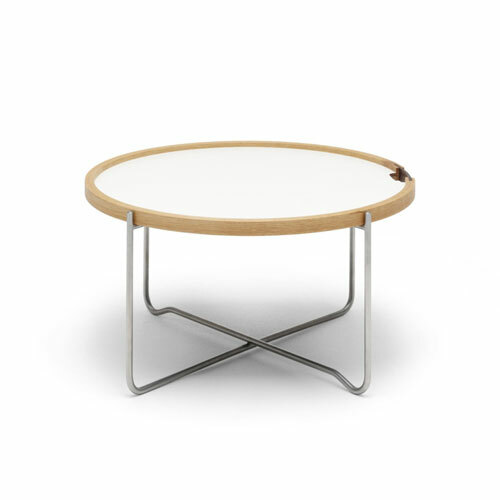 Danish furniture manufacturer Carl Hansen & Søn has revealed a new tray table at Stockholm Furniture Faire 2015. 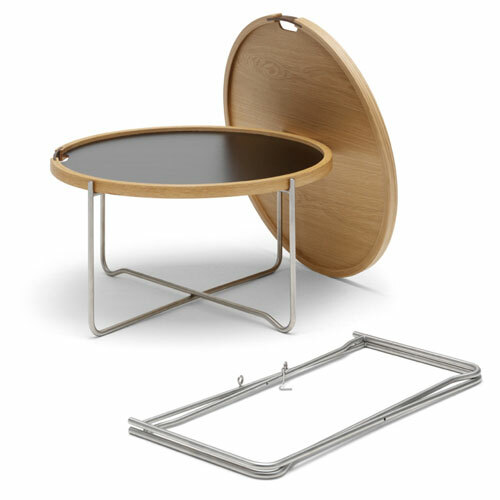 Originally designed by Modernist Hans J Wegner in 1970, the CH417 table featured a reversible wooden tray top with a collapsible metal stand. 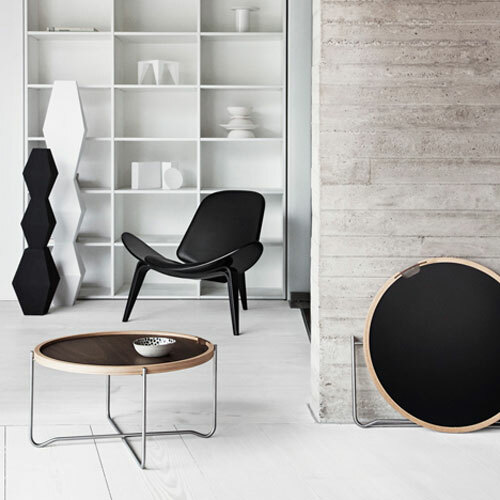 It is available with one black and one white laminate surface, as well as a one light and one smoked oak surface. 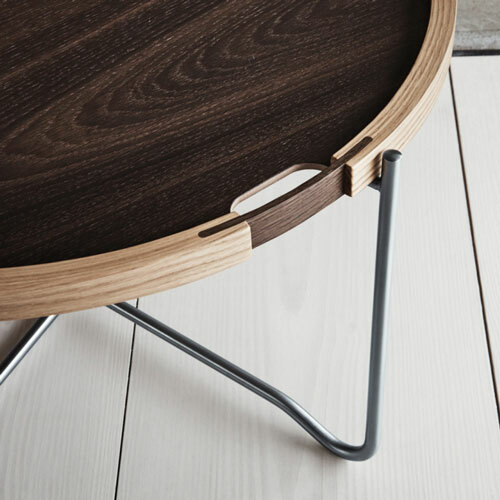 The stand is made from two bracketed frames that lock together to form a base with a crossed-shaped footprint. It can be collapsed for easy storage, allowing the tray to be used independently for serving. 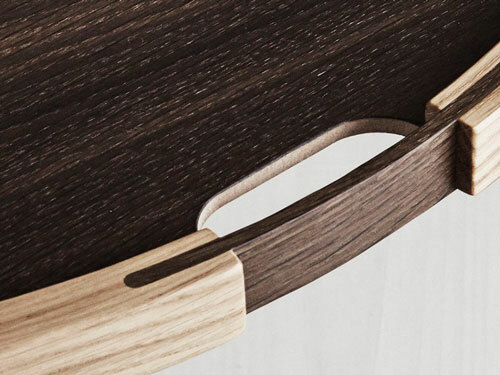 “Hans J Wegner’s tray table is an extremely versatile and functional piece of furniture that doesn’t take up a lot of room and offers versatility through its multiple visual options,” said head of Carl Hansen & Son, Knud Erik Hansen. 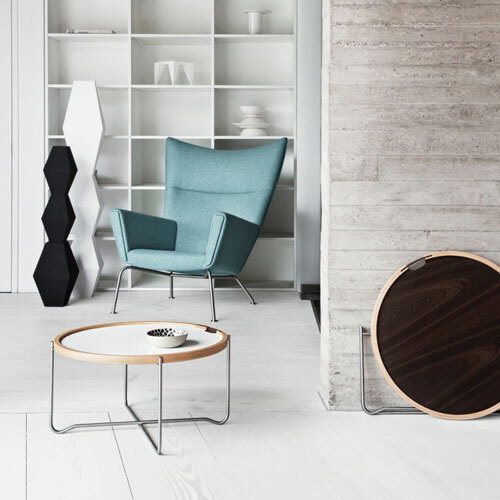 “It is, in many respects, an item that embodies the spirit of our times and responds to the growing desire for multifunctional furniture,” added Hansen.